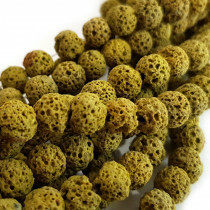 Lava rock beads are made of cooled molten lava. 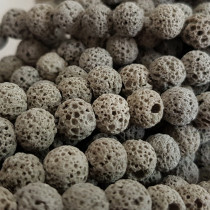 The Lava rocks are shaped and smoothed, leaving the small cavities characteristic to the stone. 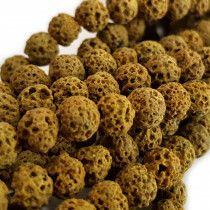 Lava rock beads are lightweight, smooth to the touch and smells a bit like a barbeque. 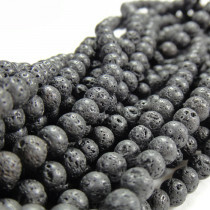 Lava Rock Round 6mm Stone Beads (66pce Strand) - 40cm /16'" Strand. 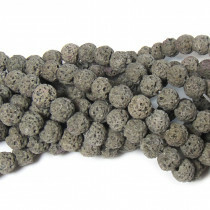 Dyed Lava Rock Grey 6mm Round Stone Beads(66pce Strand) - 40cm /16'" Strand. 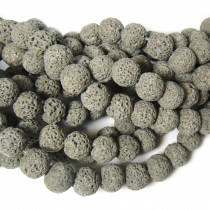 Dyed Lava Rock Grey 10mm Round Stone Beads (40pce Strand) - 40cm /16'" Strand. 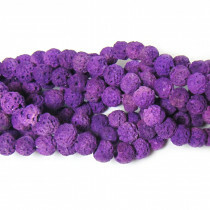 Dyed Lava Rock Purple 8mm Round Stone Beads (approx. 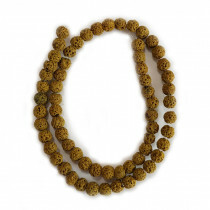 50pce Strand) ~40cm /16'" Strand. 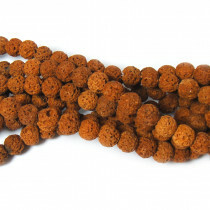 Dyed Lava Rock Burnt Orange 8mm Round Stone Beads (~50pce Strand) - 40cm /16'" Strand. 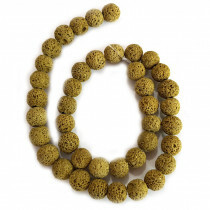 Dyed Lava Rock Tuscan Gold 6mm Round Stone Beads (~66pce Strand) - 40cm /16'" Strand. 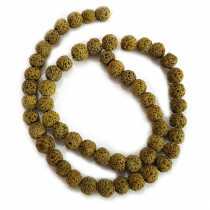 Dyed Lava Rock Tuscan Gold 8mm Round Stone Beads (~50pce Strand) - 40cm /16'" Strand. 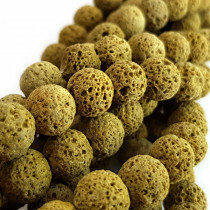 Dyed Lava Rock Tuscan Gold 10mm Round Stone Beads (~40pce Strand) - 40cm /16'" Strand.